Carnival Foundation oversees the many philanthropic endeavors of Carnival Corporation & plc and its 10 affiliated brands as well as its employee-driven service group, the “Friends Uniting Neighbors” (F.U.N.) Team. Although Carnival Foundation’s contributions are spread to communities where the brands operate, the company primarily focuses on organizations in South Florida, where Carnival Corporation is headquartered. Through monetary and in-kind donations, innovative philanthropic programs, employee fundraisers and hands-on volunteer initiatives, Carnival Foundation and the brands of Carnival Corporation & plc support a variety of organizations. From providing meals to the homeless and abuse prevention to working toward medical advancement and educating youth, Carnival Foundation’s reach is communitywide. For more information about the Carnival Foundation’s efforts in the community, please visit our website at http://www.carnivalfoundation.com/. Carnival Foundation celebrated more than 25 years of empowering youth, enhancing education and strengthening families in the communities where we live and work with its first Partner Appreciation Luncheon. Some of Carnival’s longstanding philanthropic partners shared their thoughts on Carnival and its commitment to the community in this video. In 2007 Carnival Foundation launched the Carnival Scholarship and Mentoring Program in collaboration with Big Brothers Big Sisters, a four-year in-the-workplace mentoring program for high school students. Currently, Carnival management team members serve as one-on-one mentors to 96 students. During the school year participants visit Carnival headquarters monthly to shadow their Carnival “big” and observe them in an office environment. In their senior year, program participants can apply for one of 15 college scholarships Carnival Foundation purchases annually from Florida Prepaid College Foundation. Carnival has spent more than $2.1 million on 180 scholarships, and has awarded 75 to mentoring program graduates. The first class of scholarship recipients graduated from college in 2014. Carnival Foundation in partnership with Carnival Corporation & plc, is providing a $2.5 million gift over five years to support The Nature Conservancy’s global marine protection efforts. Foundation support is directed to locations where industry and community are most dependent on marine and coastal resources — including conservation priority sites where Carnival Corporation & plc and its nine cruise brands operate. Create Common Good is a nonprofit social enterprise that uses innovative food-related job training programs to help at-risk people find, perform and retain work to attain self-sufficiency for them and their families. 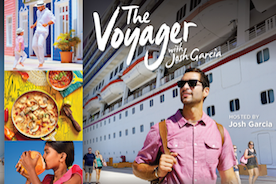 The two organizations explore opportunities to introduce custom-crafted Create Common Good food products into shipboard menus across Carnival Corporation & plcss nine cruise brands. Edge4Vets helps veterans translate their strengths from the military into tools for civilian success. Veterans get support from business mentors who help them identify strengths they developed in the military and apply their strengths for success in school, work - and life. Administered by the Zoological Society of South Florida, the Carnival Kids Program is a conservation and environmental science curriculum for fourth- and fifth-grade students in at-risk schools in South Florida. Renovation of the Pediatric Intensive Care Unit at Holtz Children’s Hospital created the Carnival Cares for Kids Center, which includes 30 special oversized rooms that enable family members to remain with their critically ill children, as well as a lounge for family members. Carnival Foundation in partnership with Carnival Cruise Line supported the creation of the museum’s Carnival Cruise Line Ship Exhibit, where visitors learn about how a cruise ship functions and the cruise industry’s relationship to local and international communities. Carnival Foundation established the Carnival Gold Scholars Program at Florida International University’s Chaplin School with a $400,000 donation that awards renewable scholarships up to $20,000 to hospitality and tourism students. The Foundation also funded renovation of the school’s 2,600-square-foot multipurpose Carnival Student Center. 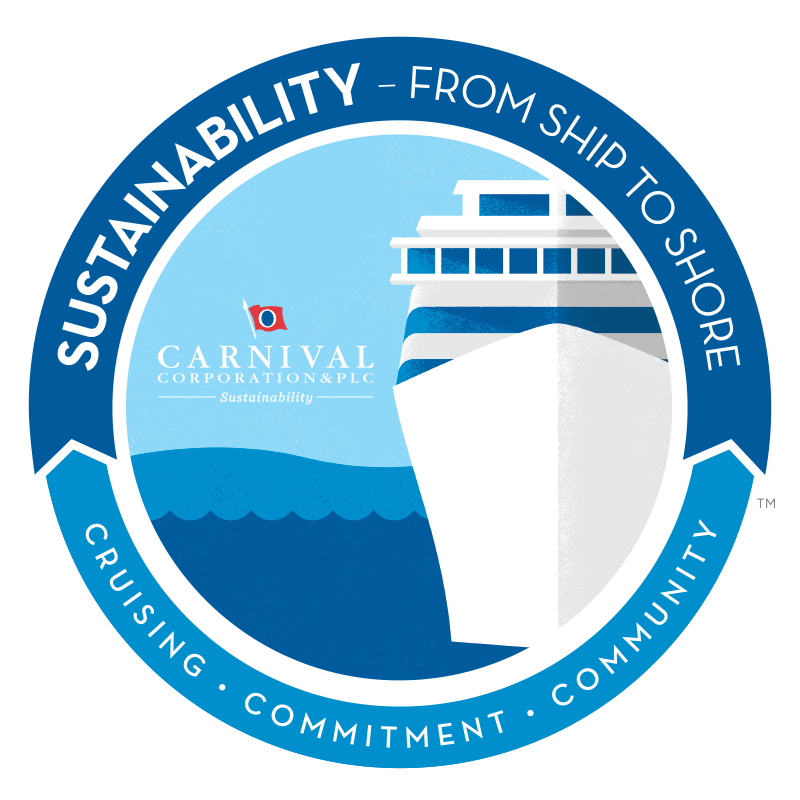 Carnival Cruise Line is on track to raise $8 million for St. Jude by 2017 through a range of engaging activities, both on board and ashore. Activities include Groove for St. Jude, a fun shipboard dance where guests make a $10 donation and receive a commemorative T-shirt and wristband, and the Beary Cuddly program where kids can build their own stuffed animal with optional accessories such as medical scrubs, available for purchase, with proceeds benefiting St. Jude. Carnival has also revamped the St. Jude portal within its website, which includes information on the partnership and a chart reflecting progress toward the company’s $8 million fundraising goal. “AIDA cares” is not only the name of our sustainability program, it is also an expression of our corporate culture. Every year we team up with our guests to support social projects in crisis regions, for example with a New Year’s Eve raffle. In 2013 we were deeply moved and shocked by the devastation in the Philippines caused by Typhoon Haiyan. Around 800 employees on board the AIDA fleet were from the regions hardest hit. AIDA Cruises and Costa Crociere immediately provided US$100,000 in emergency aid for affected crewmembers of both cruise lines. With the AIDA Help for the Philippines initiative and the annual New Year’s raffle on board the AIDA fleet, AIDA Cruises collected more than 223,700 euros from guests and crewmembers for the victims of Typhoon Haiyan. In the aftermath of catastrophic flooding in Germany in 2013, AIDA Cruises spontaneously held a donation raffle aboard its 10 ships. The proceeds of 100,000 euros were donated to Germany’s Relief Coalition Aktion Deutschland Hilft to assist flood victims. Sport is a key component of the AIDA experience, both on board and ashore, and we support rowing, cycling, football, golf, hockey and marathon through our AIDA Sports Crew. AIDA Cruises also promotes culture, and since 2002 has been the main sponsor of the Mecklenburg-Western Pomerania festival — one of Germany’s largest classical music festivals. Headquartered in Rostock, AIDA supports regional social and cultural events and institutions, and maritime organizations including the German Seafarers' Mission, University of Rostock, Rostock University of Music and Theatre, local School Music Weeks and Rostock Zoo. As a cruise operator, AIDA relies on a healthy environment and clean oceans. At the suggestion of AIDA employees, a team headed by Dr. Monika Griefahn, chief sustainability officer AIDA Cruises, on March 12, 2013, formed AIDA Friends of the Ocean e.V. (AIDA Freunde der Meere e.V.) at a founding meeting held aboard AIDAstella. AIDA Friends of the Ocean e.V. is a nonprofit organization managed separately from AIDA. The organization’s goal is to use various projects to promote the concept of environmental and marine conservation at the national and international levels. The organization’s work focuses on promoting an understanding of the ocean ecosystem and sensitizing the public about ecological problems affecting maritime habitats through practical nature protection projects and educational and public relations work. In September 2013, AIDA Friends of the Ocean e.V. participated in International Coastal Cleanup Day and held coastal cleanup activities in Hamburg and Warnemünde, Germany. In 2013, the organization sponsored a drawing contest to encourage preschoolers and schoolchildren to think about the ocean in a creative way. AIDA Friends of the Ocean e.V. wants to raise awareness about the impact of microplastics and encourage consumers to make conscious product decisions. All cleaning and cosmetic products on board AIDA ships are naturally free of microplastics. AIDA Friends of the Ocean e.V. is open to anyone who wants to be involved in protecting the ocean and supporting this work. Donations and memberships enable the organization to grow and promote its projects. Community giving at Costa Crociere is managed by the recently established Costa Crociere Foundation, an independently run organization founded and sponsored by Costa Crociere. Its goals are to address and mitigate social and environmental problems in Italian communities by sponsoring and supporting projects throughout Italy, starting locally in Genoa where the foundation can best use the many resources provided by Costa Crociere. The foundation’s mission is to promote the social and environmental betterment of Italian communities by sharing the resources of Costa Crociere and its partners. Examples include using the purchasing power of Costa Crociere to reduce costs for the local food distribution program, using the company’s media relations capability to encourage donations for upcoming projects, create social and environmental awareness in the 1.6 million guests carried annually and involving them directly in fundraising activities. The company’s social program aims to address the causes of poverty by giving people tools to lift themselves out of hunger and homelessness for the long term and ease their burdens in the short term. By targeting both causes and consequences, investing in the future through education and in the present through humanitarian assistance, disadvantaged groups in target communities can receive the resources, opportunities and education they need to live healthy, productive lives. The company’s environmental program aims to reduce marine debris, mainly plastic, in the Mediterranean Sea, working in cooperation with local communities. The program encourages people and businesses to reuse rather than throw away. Costa Crociere Foundation will provide structural means of shoreside recycling and mobilize communities to participate in cleanups. The program will lobby producers to rethink and redesign products and packaging, and promotes prevention through supporting and stimulating manufacturers to innovate. Through education and awareness, consumers and commercial entities will understand the impact of plastic waste and rethink their plastic footprint. Throughout the fleet, volunteerism can happen on any given day. Crewmembers donate clothing, books from the crew library, school supplies and other items to benefit local schools and other organizations. Locally, our Dollars for Doers program rewards employee volunteers with small cash donations for their favorite nonprofit organizations. Many Holland America executives and employees serve on nonprofit boards, contributing their time, expertise and resources to a broad range of charitable causes. On Deck for a Cause supports the global fight against cancer and benefits six international cancer organizations in the United States, Canada, Australia, Netherlands, Germany and the United Kingdom. Guests are invited to participate in a noncompetitive 5k walk on every sailing aboard all Holland America Line ships — nearly 500 sailings each year. These walks have raised $3.9 million since 2006. While the Princess Cruises Community Foundation supports many causes, the Susan G. Komen for the Cure continues to be a key beneficiary of the foundation’s fundraising efforts. The On Deck for the Cure program onboard Princess ships invites guests to donate $15, put on a special cap and walk a 5k course around the ship’s decks. Proceeds raised by the walks fund research to fight breast cancer. The response from guests continues to be amazing, as over 11,000 vacationers last year spent a portion of their holiday time onboard walking to support breast cancer research. In Asia, where Princess Cruises has recently begun homeporting some of its ships, similar walks are taking place to benefit local charities. In Japan, the Princess Cruises Community Foundation supports Katariba (“place for sharing” in Japanese), a Tokyo-based nonprofit organization that envisions “a society flourishing with young people who are energetic with strength to overcome life’s challenges.” In China, On Deck walks support Free Lunch for Children, which aims to provide food for children living in rural areas. And in Southeast Asia, the walks benefit Singapore Red Cross, which is dedicated to alleviating human suffering, protecting lives and dignity, and responding to emergencies to build a world of empowered and resilient communities.